Head to Shopping Leblon and Botafogo Praia Shoppingfor some retail therapy. 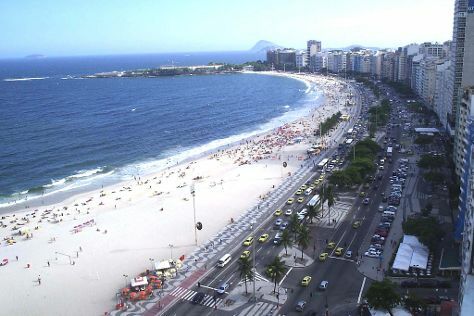 We've included these beaches for you: Praia de Ipanema and Copacabana Beach. There's still lots to do: kick back and relax at Pedra do Arpoador, admire the natural beauty at Theatro Municipal do Rio de Janeiro, tour the pleasant surroundings at Praia de Grumari, and appreciate the history behind Corcovado Christ the Redeemer. To see traveler tips, photos, where to stay, and tourist information, read Rio de Janeiro online day trip planner . In June in Rio de Janeiro, expect temperatures between 30°C during the day and 22°C at night. Wrap up your sightseeing on the 17th (Mon) early enough to travel back home.